Motorola Moto E4 Plus Price, Review, Deals, Cost, & Sales! Home / Compare Cell Phones / Motorola Moto E4 Plus Price, Review, Deals, Cost, & Sales! 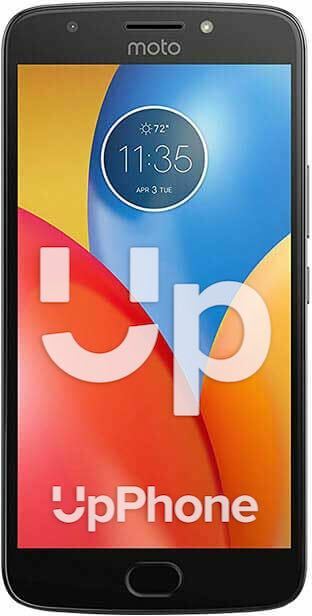 The Motorola Moto E4 Plus, as of this writing, has the largest battery ever placed on a smartphone and it comes with a number of hefty features you'll love. This device is equipped with a 5.5" HD IPS display screen with pixel density of 267 PPI and is protected by Corning Gorilla Glass 2. The LG X Charge has the same screen size but uses the TFT type display and has the same pixel density as the Moto E4 Plus. The Moto E4 Plus comes with a 13 MP and a f/2.2 aperture main camera that is capable of recording HD videos @ 30 fps. Its secondary camera is a 5 MP with an aperture of f2.2. This phone has an onboard storage capacity of 16/32 GB and supports up to 128 GB external drive via microSD. While the LG X Charge has the 16 GB internal space and supports up to 2TB via microSD. The Motor E4 Plus has a single bottom firing speaker which is loud enough. It also has the Dolby Atmos technology giving it a more three-dimensional sound effect. This phone has a front-mounted fingerprint reader embedded in the home button. The sensor is fast and reliable. This device runs on Qualcomm MSM8920 Snapdragon 427 Quad-core clocked at 1.4 GHz. The chip will do fine with light use but will have a noticeable lag time with heavier apps. The lag becomes obvious even when playing YouTube videos while buffering. The LG X Charge runs on ARM Cortex-A53, 64-bit, 28 nm Quad-core clocked at 1400 MHz. The hallmark of the Moto E4 Plus is its mammoth battery. At 5000 mAh, it is the largest one on a phone lately. It will last you two days with a single charge and support fast 10W charging. While the LG X Charge has the 4500 mAh which also very respectable. This phone has the largest battery on any smartphone lately. It has an embedded 10W rapid charger. The Moto E4 Plus comes pre-installed with Android 7.0 Nougat right out of the box. This phone has no NFC. This model comes in iron gray and fine gold colors only. It has Dolby Atmos technology.